Christmas and Hanukkah are almost here! Our little workshop has shipped over a hundred belts this past week and almost as many needlepoint kits. We hope they all arrive and bring smiles to families across the country. We have a lot to be thankful for this year, and are looking forwards to 2017. We’ll be offering some new services for our needlepointers and for our customers who are looking for fully stitched products. Those of you thinking of taking up a new hobby, please check out what an art needlepoint really is. You’re in for a treat, we have a Customer Spotlight at the bottom of this post. 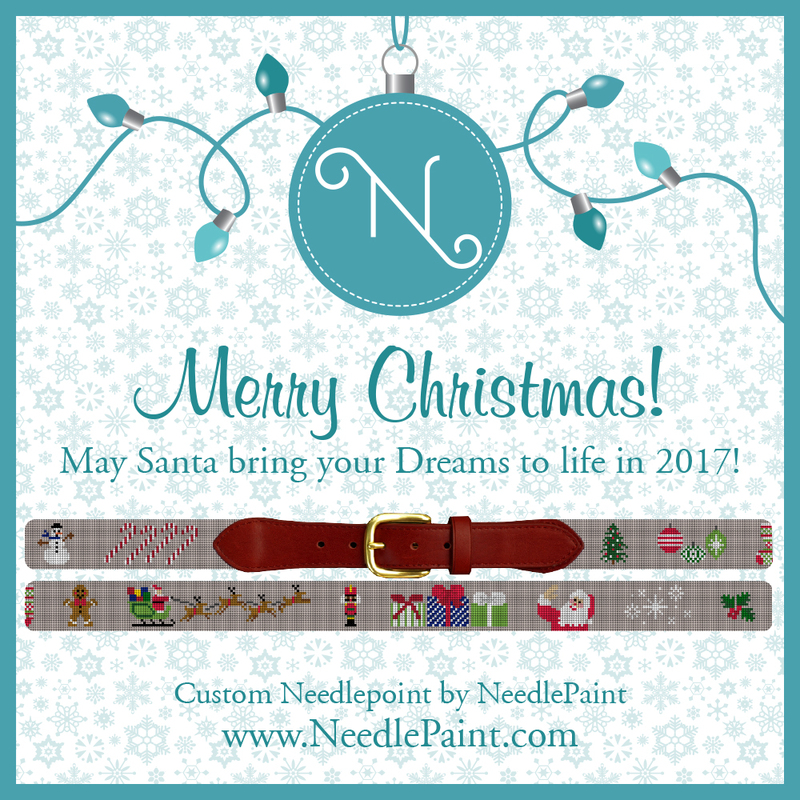 Our first Big announcement for 2017 is that we’re now selling fully stitched custom needlepoint stocking! We’ve sold some over the years, but finally have put a listing online in our Etsy shop. Our designers are here to work with you, whether you’re trying to match an heirloom needlepoint stocking, or looking for an updated needlepoint design, needlepoint stockings truly are timeless. Our Fully Stitched Nutcracker Needlepoint Stockings in wool with velvet backing. What better to give than a gift of personal memories! 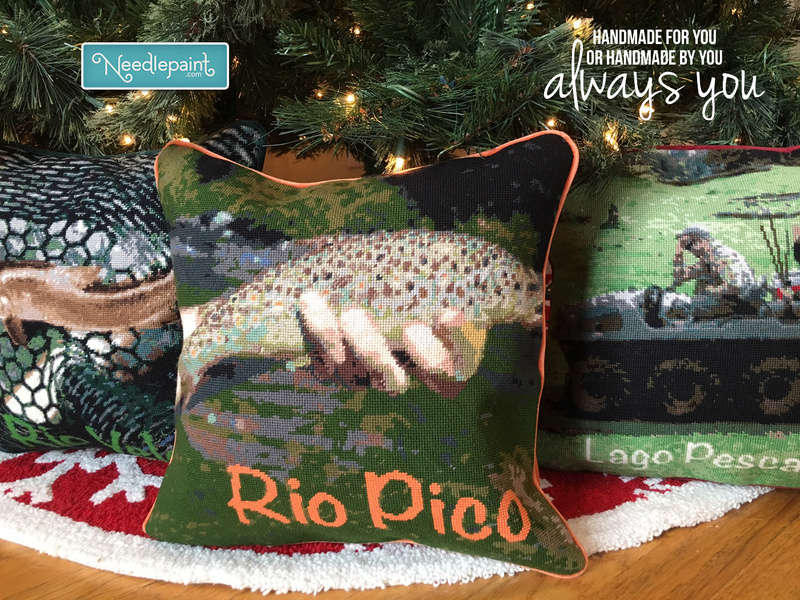 These custom needlepoint pillows are going to a fishing lodge, but I had to sneak some pictures under the tree. And those of you who made it this far are in for a treat. Lisa, in New York just finished her second project ever. 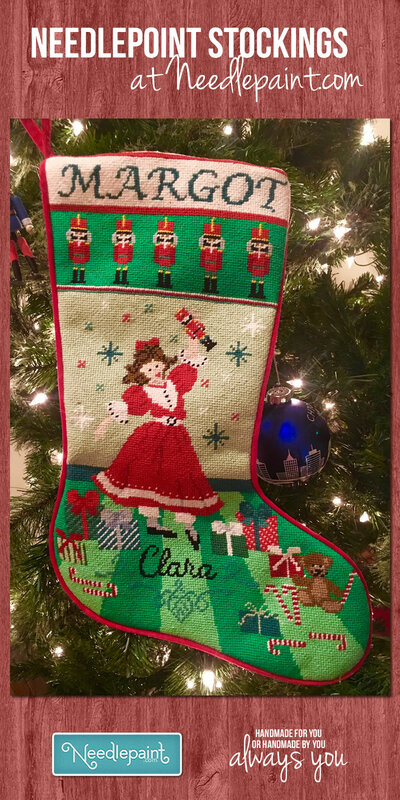 She stitched this amazing Clara Nutcracker Stocking! 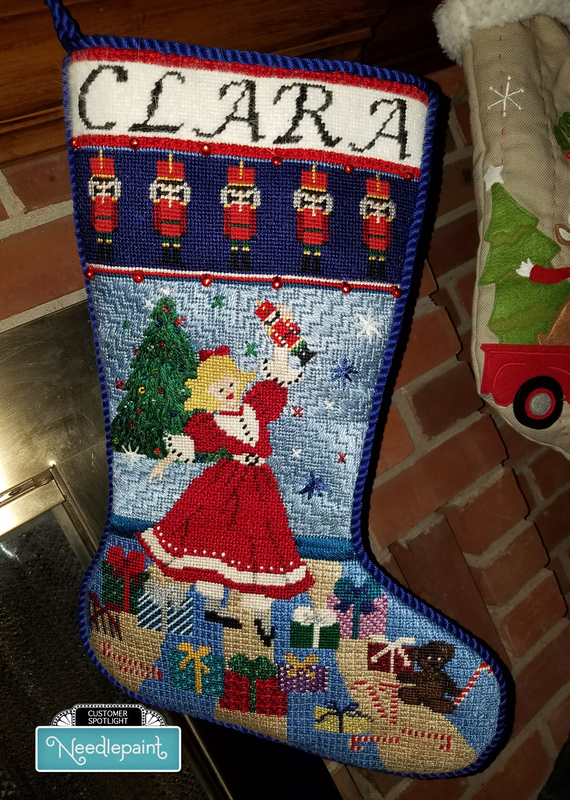 It is the same design as above (we did customize the background a bit), but you can see her talent in selecting her own colors and especially choosing fun stitches and embellishments that add even more depth and texture to the stocking. Nice work Lisa! Needlepoint is Fun and amazing. I hope you share these images with your friends and help inspire them to learn to needlepoint in 2017!